In keeping with his top priorities in life; faith, family, friends and the Outdoors, Jim fulfills the latter of those as an agent with Mossy Oak Properties Cache River Land & Farm helping people realize the immeasurable amount of pride that comes with land ownership. With a demanding and fast-paced 22 year career in law enforcement behind him, he brings discipline, integrity and the organizational skills necessary to bring buyers and sellers together in mutually beneficial transactions. As a graduate from Harding University with a degree in Business Administration he also has the knowledge and understanding of the many financial aspects of owning property…including investment grade Ag farms, cattle farms and those associated with the poultry industry. 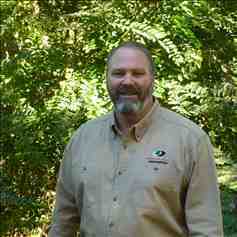 Jim is currently a Conway resident and ready to serve the Arkansas River Valley and surrounding areas. Give him call to see how you can put his experience and the Mossy Oak network to work for you today.